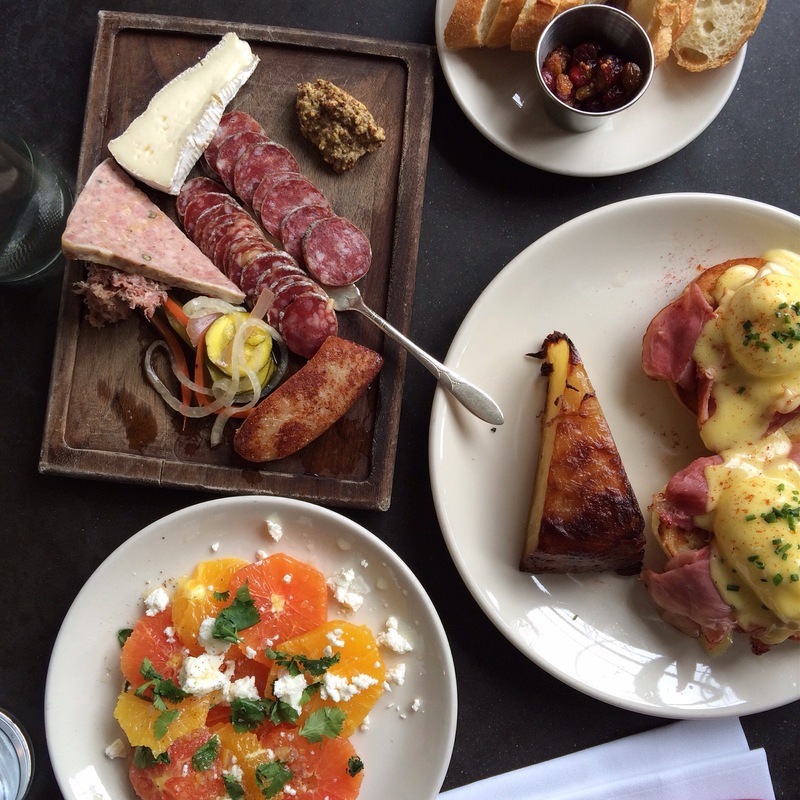 Olympic Provisions is the old name of this beloved Portland cured meat shop and restaurant. But apparently, the International Olympic Committee had a thing to say about it and so now it’s Olympia Provisions… Because the first thing I think of when I purchase a smoked kielbasa is of figure skating and track and field events… Anyway! I recently ate here for brunch and had an amazing eggs Benny!! I think ham is a difficult… It’s either too salty or too sweet, I usually go for other options, but being as Olympia Provisions is known for their pork products, I thought I would give it a try, and MAN was it worth it! Just the perfect balance of salty and sweet. Charcuterie board is delish, as always. My favorite is always the rillette. But with all that meat, the orange salad was a perfectly paired touch of freshness. Inspired by this seasonal goodness, I put together this instant classic. The main trick is to make this salad when oranges are at their best! This does nothing more than pay tribute to how great citrus is in the wintertime, turning our Pacific NW seasonal depression right out of snap! I used cara cara and naval oranges, but feel free to use any great citrus you can find. 1. 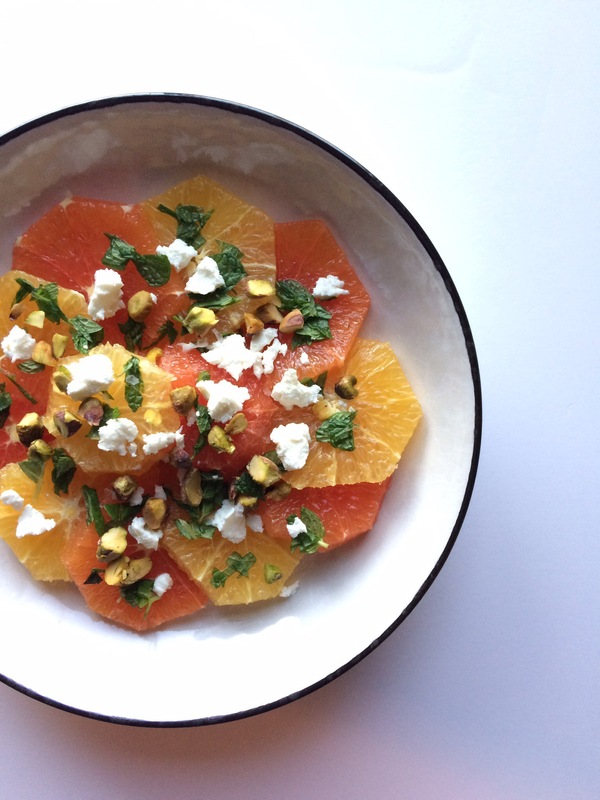 Peel oranges and slice into 1/4″ slices and top with roasted pistachios, chopped mint, and chèvre. And that’s it! A simple but elegant salad that has a lot more than meets the eye!